Bushnell's Trophy is ideal for hunting at long ranges and at a wide field of view. It has fully multi-coated lenses for maximum light transmission and optimum brightness. 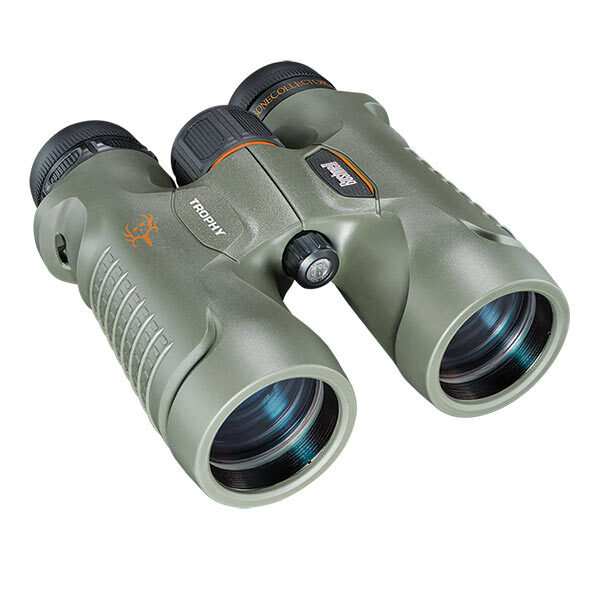 This binocular is made of a heavy-duty, 100 percent waterproof/fog proof construction with a large center-focus knob for precise focusing. Included is 2 step twist-up eyecups that allows for quick adjustments for optimum eye relief. Ideal magnification for hunting at long ranges and wide field of view.